Fashionable cities like Harajuku, Shibuya, or Ginza. Not only you can enjoy shopping in those spots, but you can also see what is the hottest or coolest fashion in Japan now. Harajuku is for teens. Shibuya is for late teens to mid 20th. Ginza is for the adult. All the fashion starts those areas to all over in Japan. Ginza (銀座), place for adult. It has everything grown up ever want. Any bland you name it, it's here. The First apple store is in Ginza. If you want to eat good food, and willing to pay extra, come Ginza and eat Ginza. There is Mitsukoshi which is the one of the most exclusive store in Japan. If you want to see Japan with taste and class come visit Ginza. Ginza is a district of Chuo Ward, Tokyo, located south of Yaesu and Kyobashi, west of Tsukiji, east of Yurakucho and Uchisaiwaicho, and north of Shinbashi. 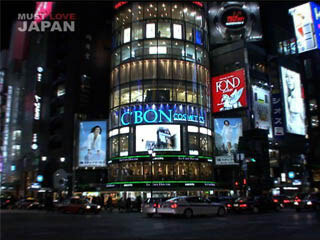 It is known as an upmarket area of Tokyo with many department stores, boutiques, restaurants and coffeehouses.